An extensive Data Platform upgrade creates a fully virtualised, highly available and cloud ready environment to serve as a platform for Digital Transformation. Much emphasis today is placed on the importance of Digital Transformation, and a critical part of this is the shift to the cloud. 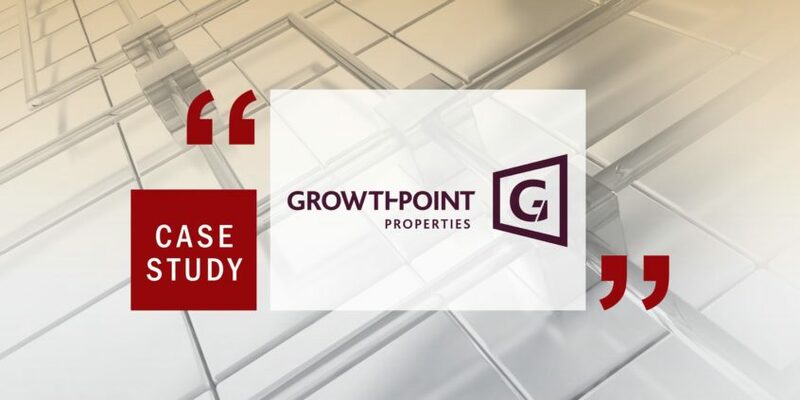 When Growthpoint Properties chose to begin its own cloud journey, through a process of Data Platform Modernisation, it needed a trusted partner and skilled technical advisor to assist throughout the process. Seeking an organisation that was experienced in supporting its clients, regardless of what stage in the cloud journey they are on, Growthpoint turned to Ascent Technology. According to Growthpoint CIO, Alec Davis, Ascent has worked closely with his own IT team for a number of years, so it is ideally positioned to understand Growthpoint’s existing IT environment and requirements. “As experts in the Data Platform space, we could think of no-one more perfectly placed to assist us in our Data Platform Modernisation programme. Thanks to Ascent’s skilled personnel and deep understanding of complex Database Environments, the company has always been able to deliver to our needs. The value we have gained from partnering with them is such that when our company began its Digital Transformation, it was only natural we sought their assistance with this,” he says. He adds that although Ascent was initially brought on board to undertake Database Administration for Growthpoint some eight years ago, the company has since engaged them to assist with a multitude of different services, including Business Intelligence and Cloud Advisory Services. “What began as a contractual service related to the Maintenance and Support of our Database Environment, along with Data Platform Consulting Services, has now led to the delivery of an optimised Microsoft Azure Cloud Environment that provides us with consistency, continuity and flexibility,” says Davis. “A good example of the value they add is how they utilised Microsoft’s Operations Management Suite to monitor and automate both on premise and Azure Cloud based systems. They have also helped Growthpoint deploy ASR, enabling us to automate the replication of servers from our internal data centres to the Azure Cloud. Davis suggests that one of the key reasons Growthpoint continues to work with Ascent is the fact that over time the company has evolved its business into complimentary and new strategic areas. What sets Ascent apart, continues Davis, is the fact that while they remain exceptional at Database and BI Consulting and Support Services, they have also expanded their offerings in such a way that they have been able to help the Growthpoint organisation move forward. “In this time we have worked closely with them to add business value to their organisation, while delivering a professional and high quality service. The length of this relationship underlines Ascent Technology’s value as a trusted advisor in the Enterprise Data Platform space, and we are excited to continue assisting them on their Digital Transformation path,” he concludes.